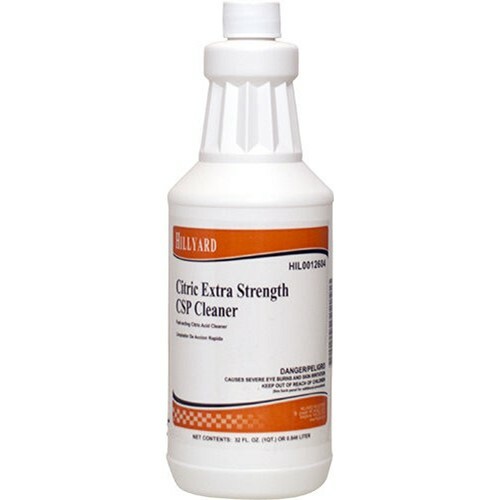 An extra powerful, heavy-duty cleaner that quickly removes unsightly hard water scale, soap film, rust deposits, urinary salts, and oily residues from ceramic tile, stainless steel, porcelain, and chrome fixtures. Just wipe it on, let it work, and rinse. Citric Extra Strength CSP makes heavy-duty renovation quick and easy, saving you both time and money.